Echinacea has been used for centuries as an herbal way of supporting and maintain optimal immune system health and wellness. When combined with Goldenseal, another important herb, you get a reliable way of supporting immune health, as well as overall health. 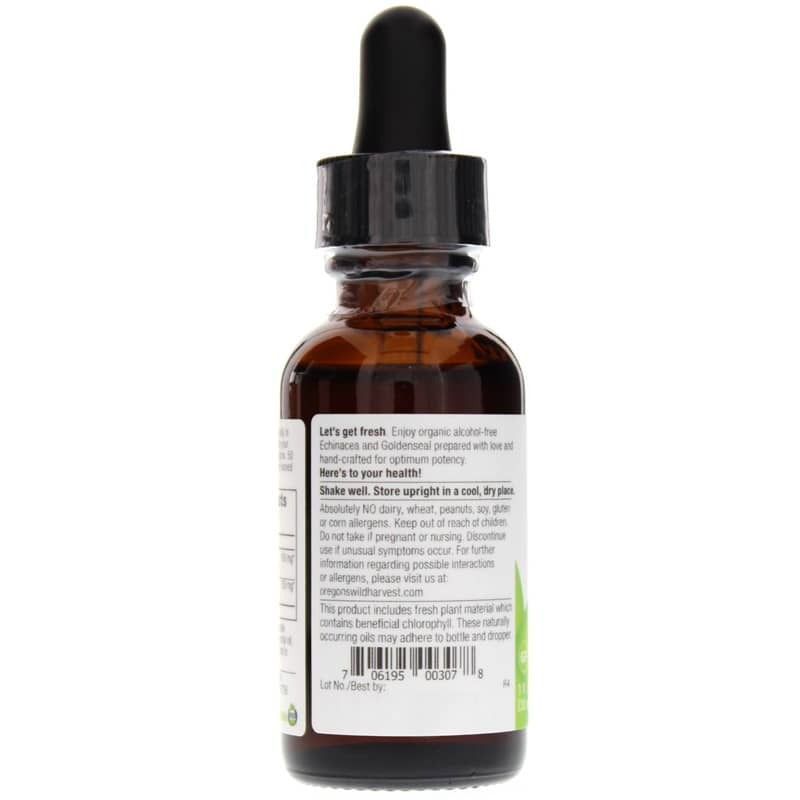 Oregon's Wild Harvest offers a product called Alcohol-Free Echinacea Goldenseal, an herbal liquid supplement that provides reliable support for maintaining optimal immune health. 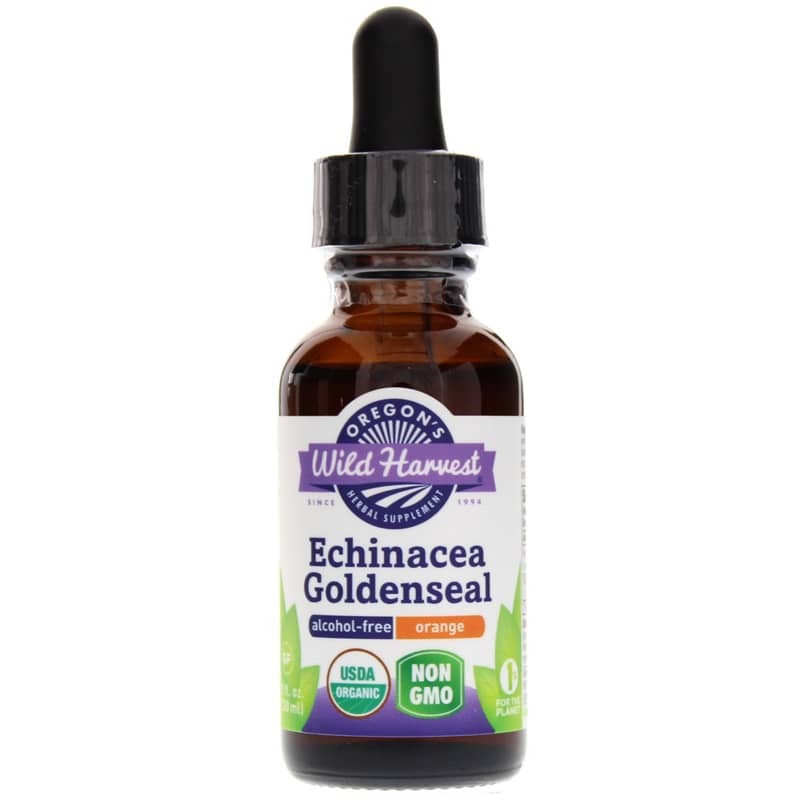 Each bottle of Alcohol-Free Echinacea Goldenseal is made without wheat, dairy, gluten, peanuts, corn, and soy. It contains no stearates or excipients, and is entirely GMO-free. The natural orange flavor is great-tasting and mixes well into water or your favorite juice. It's even vegetarian-friendly! Give your immune system an all-natural boost. Try Alcohol-Free Echinacea Goldenseal today, and see the difference it may be able to make for you. Order now! Other Ingredients: Organic vegetable glycerin, organic sweet orange essential oil, organic citrus extract. Herbs extracts in alcohol, alcohol removed. Contains NO: dairy, wheat, gluten, peanuts, soy or corn allergens. Vegetarian. Non-GMO. Adults: Take 1 mL twice daily in warm water or juice. 1 mL = approximately 50 drops. 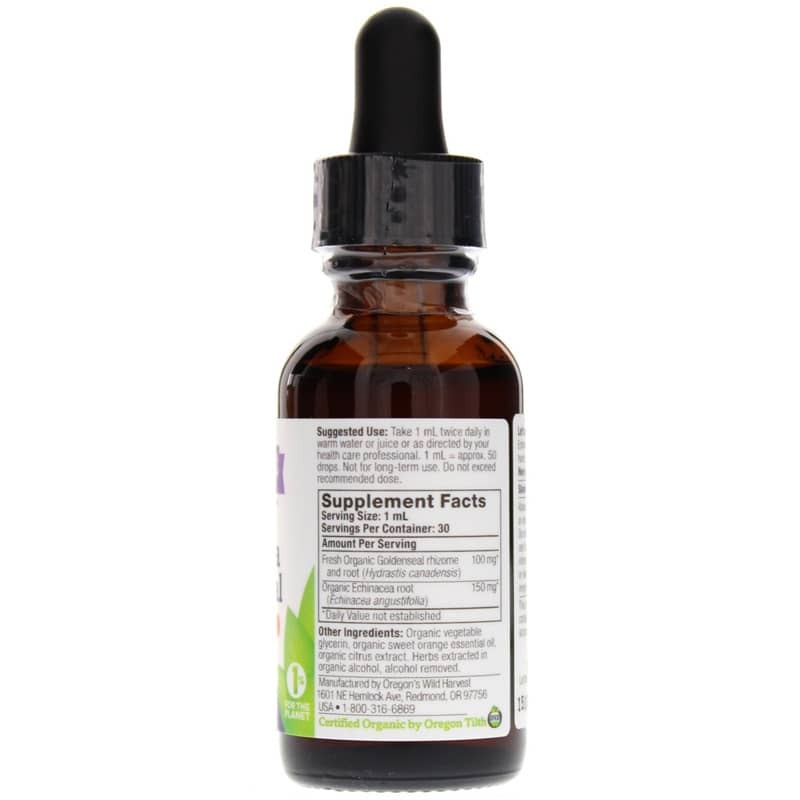 This product includes fresh plant material which contains beneficial chlorophyll. These naturally occurring oils may adhere to bottle and dropper. NOT FOR LONG TERM USE. SHAKE WELL. Store upright in a cool, dry place. Nutritional supplements containing Echinacea should be used with caution in individuals with autoimmune diseases. Do not use if pregnant or nursing. Keep out of reach of children. Discontinue if unusual symptoms occur. Do not exceed recommended dose unless under the guidance of a healthcare professional. Allergens: Individuals sensitive to plants in the Daisy family (sesquiterpene lactone-containing plants) should use all Echinacea supplements with caution.